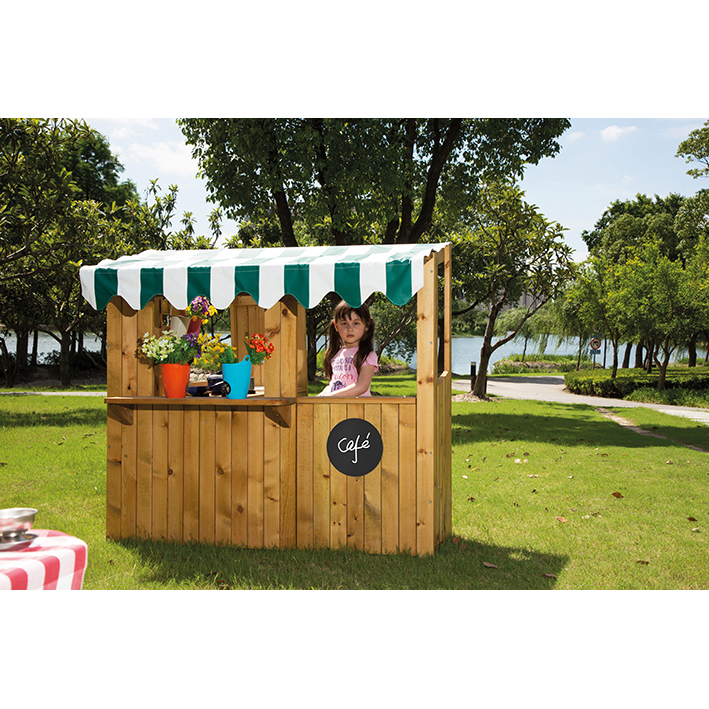 Our outdoor snack and coffee bar will ignite excitement in young children as they act out roles such as being a shop assistant or a customer. 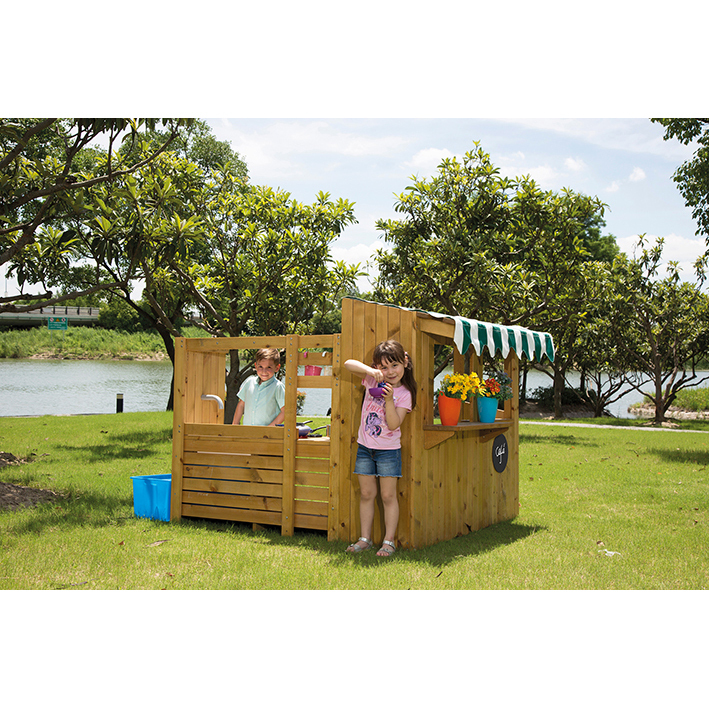 A great way to encourage interaction and communication, perfect for developing cognitive and social skills. Green and white striped canopy is waterproof.